The ‘top ten’ wind turbine manufacturers, as measured by global market share in 2007, and some salient features of the technology of some of their flagship designs, are listed in Table 3.1. 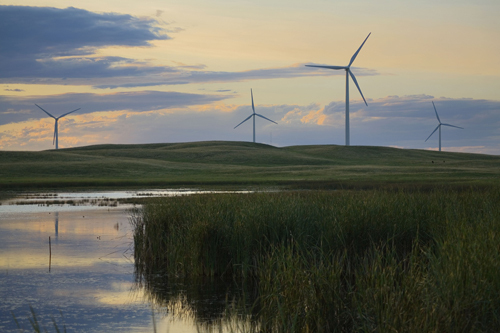 Vestas has long been the world’s leading supplier of wind turbines. Key volume products are the V80 and V90 series. 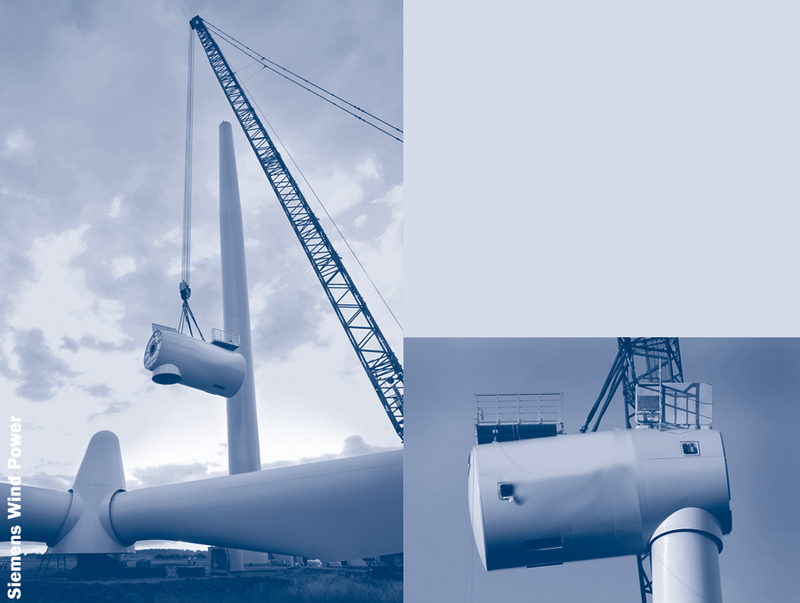 Vestas technology is generally particularly lightweight. Blades made using high strength composites in the form of prepregs, and innovation in nacelle systems design, has contributed to this characteristic. According to industry sources, Vestas is developing a new offshore wind turbine model. GE is now focusing increasingly on their 2.5 MW 2.5XL series, which entered series production in the summer of 2008. This is seen as its next generation of turbines to succeed to the proven 1.5 MW series and be produced at high volumes. It is interesting to note the change in design to a permanent magnet generator with full converter retains a high speed generator with a multi-stage planetary gear system. Doubly-fed induction generator (DFIG) technology has been challenged recently by more stringent network requirements, the ‘fault ride-through’ requirement in particular, and adaptations have been made to respond to these issues. The DFIG solution is undoubtedly cheaper in capital cost than systems with full converters. However, the implications for part-load efficiency can make it inferior in cost of energy to efficient systems with PMG and full converter, and the value of capitalised losses should not be underestimated. This may in part be the motivation for GE’s change in design route and adoption of a PMG generator in their latest turbine series. Note also that a synchronous PMG can be applied without design hardware modifications in both 50Hz and 60Hz network regions. This greatly increases flexibility for international developers operating in multiple wind markets. an attached FlexFitTM crane system that reduces the need for large externalcranes. Gamesa is also using state-of-the art control and converter technology in this design. The main shaft is integrated into a compact gearbox, limited to two stages and providing a ratio of 37:1. It would appear that their system will have a synchronous generator with fully rated power converter. The nacelle of the G10X is shown in Figure 3.11. Figure 3.12 shows presently operational Gamesa G87 2 MW wind turbines in the wind farm of Loma de Almendarache. Enercon has dominated supply of direct drive turbines (Figure 3.13). They have favoured wound-rotor generator technology in their designs, although permanent magnet technology is now the choice of most manufacturers developing new direct drive designs. A direct drive generator, with a wound field rotor is more complex, requiring excitation power to be passed to the rotor, but it benefits from additional controllability. Enercon has perhaps the aerodynamic design that gives most consideration to flow around the hub area, with their blade profile smoothly integrated with the hub cover surface in the fine pitch position. Their latest designs achieve a very high rotor aerodynamic efficiency which may be due both to the management of flow in the hub region and tip winglets (blade tip ends curved out of the rotor plane), which can inhibit tip loss effects. Enercon have quite diverse renewable energy interests, which include commercially available wind desalination and wind-diesel systems. In addition, they have involvement in hydro energy systems and Flettner rotors for ship propulsion. Suzlon produce wind turbines in a range from 350 kW to 2.1 MW. It has developed its technology through acquisitions in the wind energy market and is targeting a major share in the US market. Recent additions to the range include the S52 – 600 kW for low wind speed Indian sites and S82 , a 1.50 MW wind turbine. The S52 employs a hydraulic torque converter that can allow up to 16 per cent slip, thus providing some of the benefits of variable-speed operation. In 2007, after a five-month takeover battle with the French state-owned nuclear company Areva, Suzlon took a controlling stake in REpower, with 87 per cent of the German wind company’s voting rights. REpower, which had previously acquired the blade supplier Abeking & Rasmussen, continue to expand their manufacturing facilities in Germany and also rotor blade production in Portugal. The company cooperates with Abeking & Rasmussen ROTEC, manufacturing rotor blades at Bremerhaven in a joint venture, PowerBlades GmbH. Siemens (formerly Bonus) is among a few companies who is increasingly successful in the offshore wind energy market. Its 3.6 MW SWT turbines of 107 m diameter (Figure 3.14) are now figuring prominently in offshore projects. Senior management in Siemens have indicated the end of a trend of exponential growth in turbine size (considering, year by year, the turbine design at the centre of their commercial supply). The stabilisation of turbine size has been a significant trend in the past three or four years and, although there is much discussion of larger machines and developments on the drawing board and a few prototypes, there is some evidence that, at least for land-based projects, turbine size is approaching a ceiling. In a four year period, Acciona has become the seventh ranked world manufacturer in terms of MW supplied. The company presently has four factories, two located in Spain and one in both the US and China. In total, this amounts to a production capacity of 2,625 MW a year. Acciona’s latest design is a new 3 MW wind turbine to be commercially available in 2009 and delivered into projects in 2010. The new turbine is designed for different wind classes (IEC Ia, IEC IIa and IEC IIIa). It will be supplied with a concrete tower of 100 or 120 m hub height and will have three rotor diameter options of 100, 109 and 116m, depending on the specific site characteristics. The rotor swept area for 116 m diameter of 10,568 m2, the largest in the market of any 3 MW wind turbine, will suit lower wind speed sites. Electricity is generated at medium voltage (12 kV), aiming to reduce production losses and transformer costs. The main shaft is installed on a double frame to reduce loads on the gearbox and extend its working life. 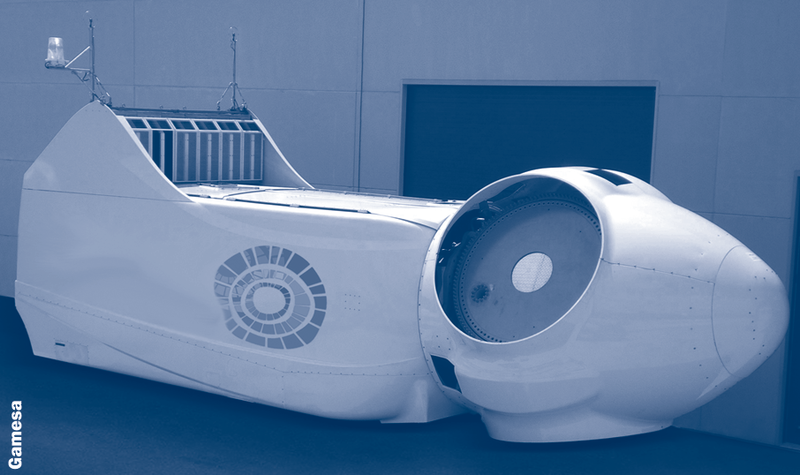 The AW-3000 operates in variable speed with independent blade pitch systems. In North America, the AW-3000 will be manufactured at the company's US-based plant, located in West Branch, Iowa. Both the AW-1500 (Figure 3.15) and AW-3000 machines will be built concurrently. A present production capacity of 675 MW/year is planned to be increased to 850 MW/year. Goldwind is a Chinese company in the wind industry providing technology manufactured under licences from European suppliers. Goldwind first licensed REpower’s 48kW to 750 kW turbine technology in 2002, and then acquired a licence in 2003 from Vensys Energiesysteme GmbH (Saarbrücken, Germany) for the Vensys 62 1.2 MW turbine. 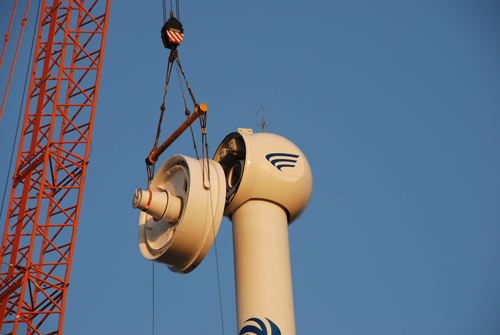 When Vensys developed a low wind speed version, with a larger 64 m diameter rotor that increased output to 1.5 MW, Goldwind also acquired the licence for this turbine and is currently working with Vensys to produce 2.0 MW and 2.5W turbines. Goldwind won a contract to supply 33 wind turbines (1.5 MW Vensys 77 systems) for the 2008 Olympic Games in Beijing. The company operates plants in Xinjiang, Guangdong, Zhejiangand HebeiProvincesand is building plants in Beijing(Figure 3.16) and Inner Mongolia. 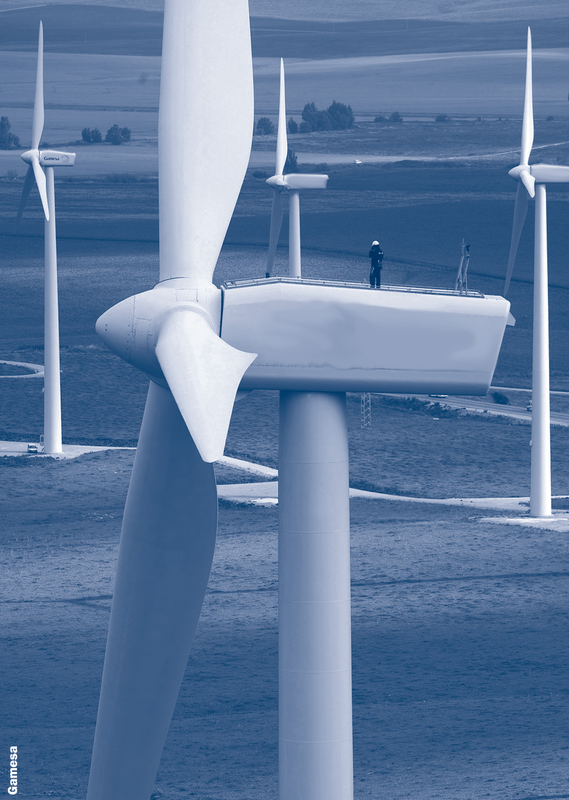 In 2008, Goldwind signed a six-year contract with LM Glasfiber (Lunderskov, Denmark) to supply blades for Vensys 70 and 77 turbines (Figure 3.17) and develop blades for Goldwind’s next generation of 2 MW and larger turbines at LM’s factory in Tianjin. Nordex is developing new control techniques and has a condition monitoring system, which monitors component wear, also incorporating ice sensors and an automatic fire extinguishing system. 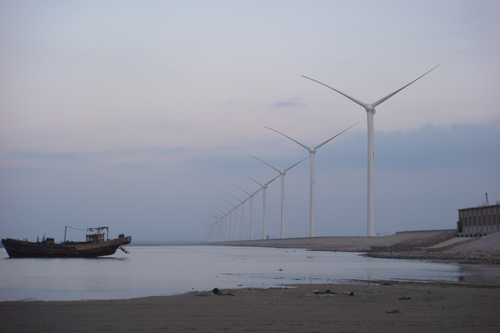 In March 2007, the AMSC (American Superconductor Corporation) signed a multi-million dollar contract with Sinovel Wind, under which 3 and 5 MW wind turbines would be developed. Sinovel is continuing to manufacture and deploy the 1.5 MW wind turbines (Figure 3.18) it began producing in 2005. The 1.5 MW wind turbines also utilise core electrical components produced by AMSC. 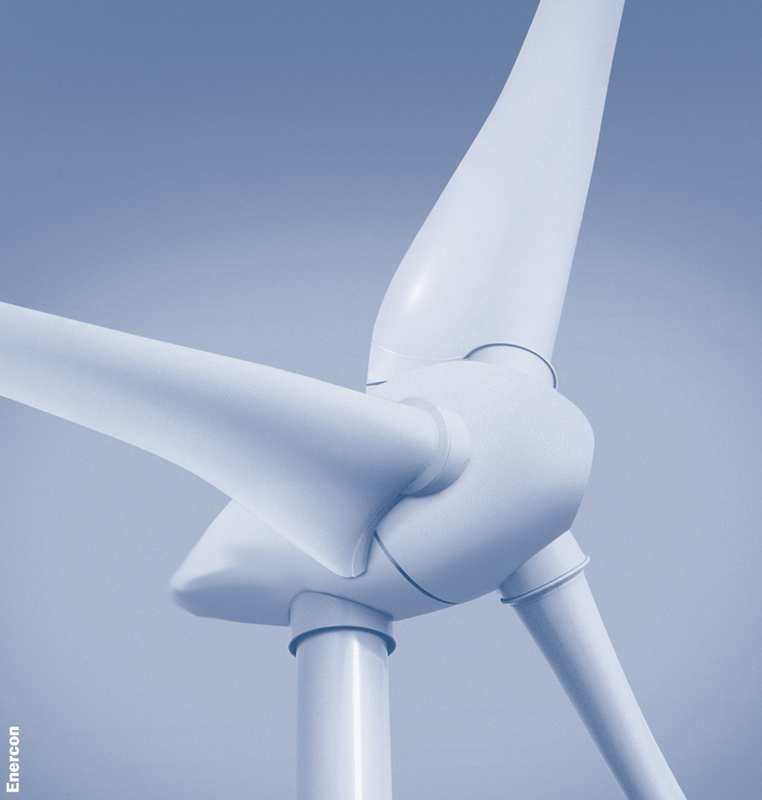 Earlier in 2007, AMSC had acquired the Austrian company Windtec to open opportunities for them in the wind business. Windtec has an interesting history, originating as Floda, a company that developed ground-breaking variable speed wind turbines in the latter part of the 1980s. Based in Klagenfurt, Austria, Windtec now designs a variety of wind turbine systems and licenses the designs to third parties. 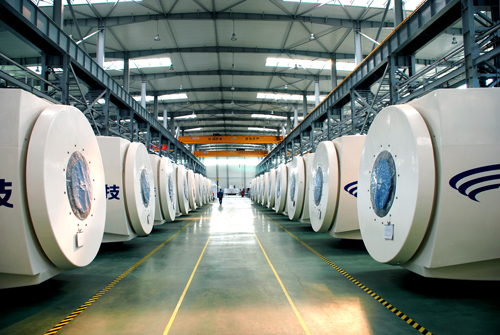 In June 2008, AMSC received a further $450 million order from Sinovel for core electrical components for 1.5 MW wind turbines. The contract calls for shipments to begin in January 2009 and increase in amount year by year until the contract's completion in December 2011. According to AMSC, the core electrical components covered under this contract will be used to support more than 10 GW of wind power capacity, nearly double China's total wind power installed base at the end of 2007.